It’s a question that adults often ask – in frustration – about teenagers. But, they shouldn’t ask questions they don’t want answers to. Turns out, some kids are on a lot. At the outset of this year, we wrote about the stuff kids were smoking, sniffing, snorting, and sipping. If you were hoping that teens suddenly decided to live sober, controlled lives, you will be a little disappointed. 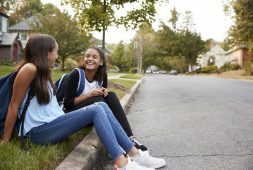 Sadly, many teenagers are still jeopardizing their future, mainly because they know so little about their health (in spite of knowing so much about so many other things). Here’s what the latest research has to say about various controlled substances teenagers are using. We know that teens’ use of marijuana has increased in recent years; according to reports, daily use of marijuana has increased by 4% during the past 20 years. Roughly 23% of seniors, 18% of sophomores, and 12% of 8th graders admitted they smoked pot in the month leading up to the survey. That increase in use could be (somewhat) attributed to the shifting attitudes about pot in the US. Recent surveys have found that the number of teens who believe marijuana is a “risky drug” has dropped from 58% in 2011 to 54% in 2013. That number is almost certain to continue dropping as the number of states who legalize medical and recreational pot use increases. All that smoke could lead to a hazy future. A new study published in Pediatrics claimed that almost 1-in-5 high school seniors admitted to using hookah – a water-born, flavored tobacco – in the past year. 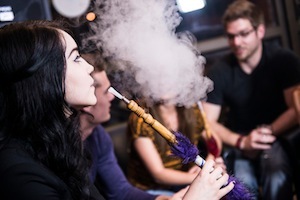 Given the growing number of hookah lounges popping up in communities, the increase was labeled “worrisome, but unfortunately unsurprising.” Researchers also claim that more than one-third of college students (37%) believe that these tobacco water pipes are less harmful and addictive than old-fashioned cigarettes. According to research, these students could be very, very wrong. The World Health Organization has run the numbers and calculated that smoke from a single hour-long hookah session can equal the effects of more than 100 cigarettes. Hookah has high levels of carbon monoxide and the second-hand smoke of hookah exceeds the toxins and carcinogens found in that of cigarettes. And the world thought Joe Camel was dangerous…. The Human Growth Hormone, known as HGH, has been on the market and available by prescription for years. But according to research by The Partnership for Drug-Free Kids, teen use of the synthetic HGH skyrocketed 120% between 2012 and 2013. The study of almost 4,000 teenagers and 750 parents revealed that 11% of kids had used HGH without a prescription at least once in 2013, compared to 5% in 2012. Breaking down the numbers by ethnicity shows a more grim reality for minorities. While 9% of Caucasian teens used HGH, 13% of Hispanics and 15% of African-American teens did the same. The saying has never been truer for a generation of young people. We’ve looked at the risks of marijuana, hookah, and HGH use, but on the other “slightly less dangerous” end of the spectrum is the unhealthy tendency kids have of consuming far too much sugar through soda and energy drinks, risking potential damage to memory and learning skills. At the very least, these sugars are a major influence on obesity rates in the US, with one-in-three young people being overweight or obese. Fortunately, the damage caused by controlled substances like marijuana, HGH, and hookah don’t strike at random. They are only a part of life if we allow them to be. 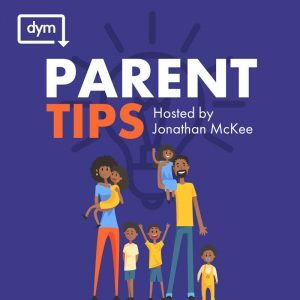 Parents and youth workers are often the gate-keepers for teens, and there are several things they can do to keep their kids away from these elements. Ask the pertinent questions. Parents and youth workers should routinely and creatively engage teenagers on this subject. 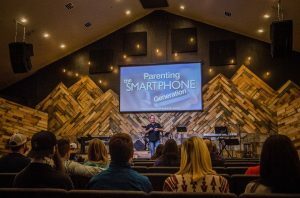 Not only do parents have great influence on their kids’ lives, but God’s Word has plenty of principles embedded in it to help address this issue. Don’t think that having the conversation one time will solve any and all problems; it’s a conversation you should have on a regular basis. One of the best strategies is asking good questions. Here are a few that could jumpstart a conversation between you and your teen:Are any of these narcotics or controlled substances at your school? How do you know? 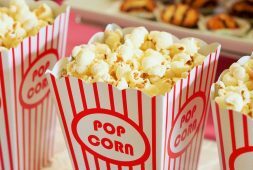 What are the risks of using these kinds of substances? Are the “rewards” worth it, in your opinion? Have you ever been tempted to try them yourself? Why or why not? Make them aware of ALL of the risks. No, you don’t have to show images of “your brain on drugs” from a Google search to make your point. Threatening and scaring are just one way of addressing this issue, and not even the best. Drug use, while damaging to health, has ramifications on so many other aspects of life. Teenagers need to know that education and occupation can be jeopardized by drug use. In fact, drug use can even take its toll on whole communities. I live in a relatively small community in the Tampa area, and in the past month, we’ve been rocked with 4 shootings, all of which were related to newly discovered meth labs in the area. Again, drug-related risks don’t automatically appear in our kids’ lives, but our kids aren’t automatically protected from them, either. We have to be the first and best line of defense in our kids’ lives. The reward is more than worth the effort put forth in this regard.